When I was in elementary school I once had a friend who, every now and again, asked me what my deepest, darkest secret was. I don't quite recall if I answered the question honestly (after all, what kind of dark secrets do ten year-olds have? ), but anyone who knows me, or most people for that matter, will have realized by now that it's probably one of the worst ways to get me to open up. Many years later, I then had a co-worker who, in the midst of a conversation wherein I was sharing a bit about my family life, told me to not share any of my insights about it because she was still in the process of psychoanalyzing me. It shocked me because I thought we were having a genuine conversation and actually bonding, but in the end it turned out she was just trying to figure me out. Why do people do that? Somehow we're not satisfied with slow, leisurely discovery; the give-and-take of friendship; how someone you've known for ages can still surprise you; letting someone confide in you in his own time, when he's comfortable, when trust is there. You see, at the specific moments I described above (and I'm not sure if this was their desired outcome), trust was set back (if not really present to break, yet). I didn't feel like a friend, I felt like a case study, a curiosity, that they didn't really care about me, but what JOOSY GOZZIP I would be able to supply. No thanks. Sure, in the end it usually makes me the last to know certain things about someone. I don't mind. I respect my friends and let them trust me with what they feel they want to share. And I think my friendships are better for it. Preheat the oven to 160°C (325°F). Line 20cm (8") square pan with parchment to fit the bottom and sides. In a saucepan over low-medium heat, stir the butter, golden syrup or molasses, sugar, and marmalade together until melted and combined. Set aside until barely warm, then transfer to a large mixing bowl and whisk in the milk and eggs. In a medium bowl, whisk together the remaining ingredients. Sift this flour mixture over the liquid mixture, whisking or stirring until just combined in the process. 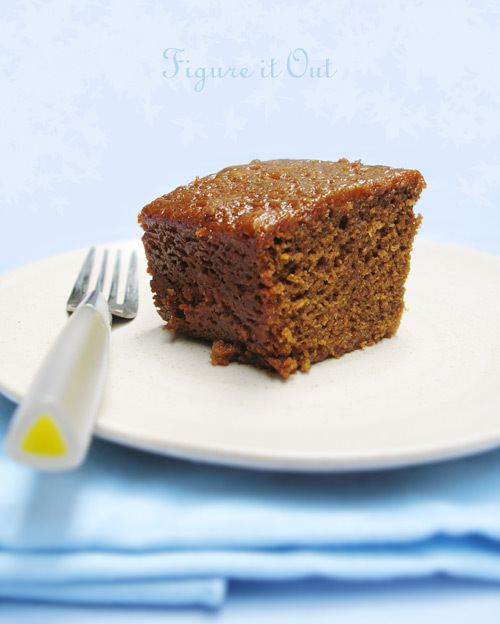 Scrape this into the prepared pan and bake 50-60 minutes or until a toothpick inserted in the center comes out clean. Let cool in the pan for 10 minutes (make the syrup during this time). Combine all the ingredients in a small saucepan over low-medium heat until melted and the sugar is dissolved. I did this in a microwaveable container in the microwave, stirring in between bursts of power. 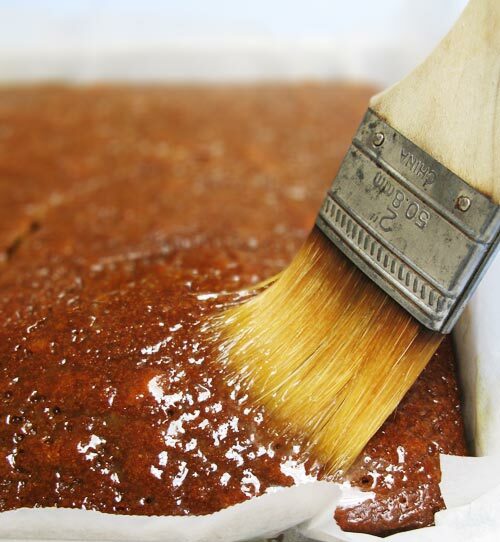 Brush half of this evenly over the cake, then unmold the cake, inverted, onto a sheet of parchment sprayed with baking spray and brush the remaining syrup over the cake's bottom (well, now it's the top). Invert right side up back into the pan or serving platter and wrap with cling film. Rest for 24 hours before serving.